As I have explained previously i find this flawed characters a literary delight. As you mention Guy, I want not want to deal with Sir Roy in real life, but these personas are a major reason to read. With all that if I get around to reading Amis, and I would like to, I think that I will begin with Lucky Jim. Lucky Jim is the better novel of the two, Brian IMO, but it’s fun to see Roy make a complete arse of himself. I enjoy books that poke fun at champagne socialists because I’m ferociuously hostile to that breed. Still, I’m going to read Lucky Jim first because I’ve already got it but if I like it, I m ight pick this one up as well. “Kitty monitors her husband’s affairs by counting the pairs of underwear in his drawer, so when the number is depleted, she knows there’s another woman.” That’s so funny. I’ll read Lucky Jim first, it’s on my Book Club list. PS : Thanks for the warning in the last paragraph. I need to take it slow to understand, although “fluht” remains a mystery. I improved by reading Sam Selvon, but not enough, apparently. I wasn’t sure about some of the words either and sometimes had to reread several times. Flute I’d guess, what’s the context? 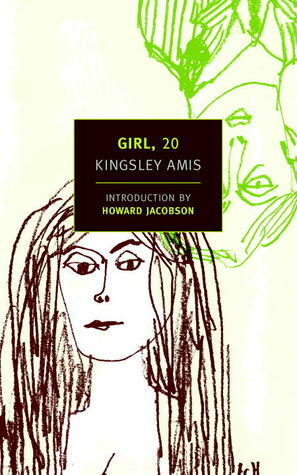 The only Kingsley Amis I’ve read is his non-fiction review of the then state of SF, titled New Maps of Hell. It’s excellent, and sings with his love of SF as a genre, but it’s no guide to his fiction so I’ll read Lucky Jim in advance of this I expect. The writing looks good, going by the quotes. Well you know Amis always writes well. I don’t have the book in front of me. I thought flute too but I wasn’t 100% positive.